Some people do not know how to use a Bluetooth dongle, or do not know why use it. Now, I’ll tell you. If you want to connect your computer with your Bluetooth devices (such as Bluetooth headset, Bluetooth speaker, Bluetooth mouse, Bluetooth keyboard …), you need make sure that the computer have Bluetooth function. How to make your computer have Bluetooth function? 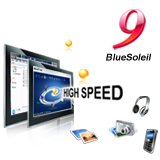 Third, open BlueSoleil software; follow the connection steps to connect with Bluetooth devices. 1. 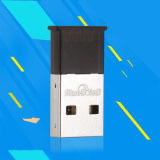 If your computer is a Desktop one, that means your computer don’t have Bluetooth function ,then you need buy a USB dongle ;if your computer is a Laptop one ,it may have build-in Bluetooth ,you need make sure the build-in Bluetooth cannot work with BlueSoleil software ,then go to buy the USB dongle ,if the build in Bluetooth can work well with BlueSoleil ,you can install BlueSoleil directly, then buy a serial number to active the software. 2. 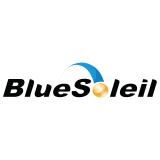 If you have bought a USB dongle, you can install our latest version of BlueSoleil directly, then buy a serial number to active it ;you know only our dongle is licensed by BlueSoleil, if the dongle you bought was from www.BlueSoleil.com ,you can use the software without buy and input a serial number ;if not ,it will alert you to input a serial number to active BlueSoleil. 3. 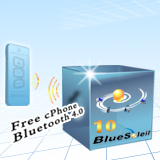 If you want to connect the computer with your Bluetooth devices, you need open BlueSoleil, and then set the Bluetooth devices in discoverable mode first.